The World Boxing Union (WBU) is a professional boxing sanctioning body approaching its twentieth year in the business of sanctioning world championship fights, in it’s original form and ownership, the WBU had a ‘golden’ period between 1995-2006 when its title contests were often shown live on satellite and terrestrial television. The WBU has been immortalized in cinema history by the hit movie “The Fighter” starring Mark Wahlberg. WBU titles were particularly well recognised in Europe and Africa. WBU titles have been held by the likes of Ricky Hatton, George Foreman, Thomas Hearns, Baby Jake Matlala, James Toney, Johnny Nelson and Micky Ward (in reality he was “The Fighter”). In 2011 the WBU was reformed in the United States of America under the stewardship of Don “Moose” Lewis – President of men’s professional boxing sanctioning body the IBU-International Boxing Union, Inc., the WAA-World Athletic Association, Inc. and the WIBC-Women’s International Boxing Council, Inc. The WBU had it first recognized World title under reorganization on 10 September 2011 when former “The Contender” television show participant Jimmy Lange defeated Raul Munoz by TKO in round 6 at the Patriot Center in Fairfax, Virginia. 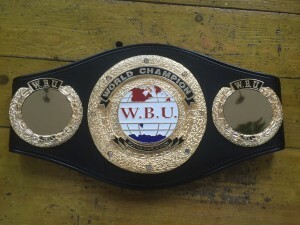 This was to catapult the WBU to a banner year in 2012 with new champions crowned and a world title even changing hands. With such a historical wealth of global experience that the World Boxing Union possesses will ensure that events sanctioned are of the highest possible standard.